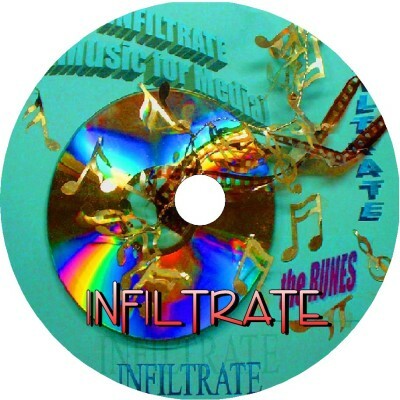 Infiltrate (2000) is the original Music for Media release. Some of these tracks were composed for the documentary, Crime Scene Cleaners. Weeping in the Dark has been used again and again on television shows from Oprah to the Conspiracy Files to Animal Police.